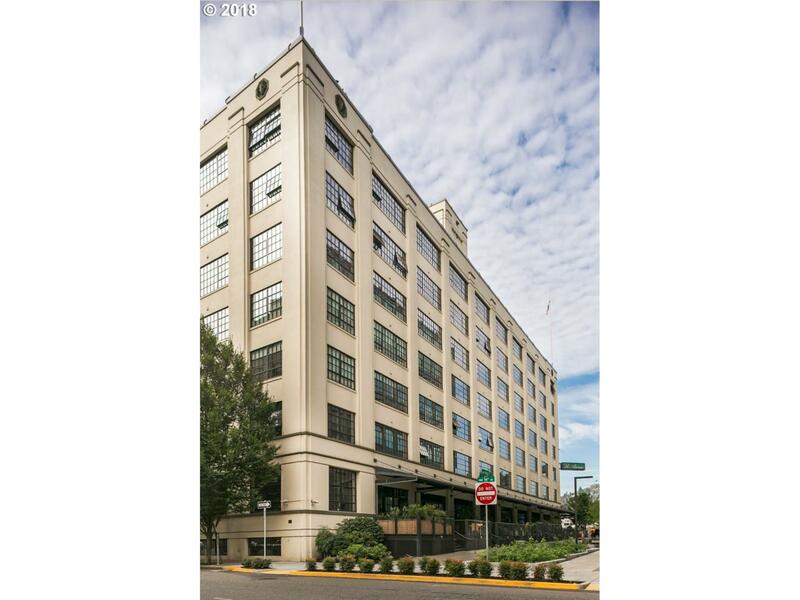 Open, light & spacious North facing 1 bedroom, 1 1/2 bath home in the heart of the Pearl District. Beautiful space with vaulted ceilings and a wall of windows. This home has AC! Close to gyms, the streetcar line, great shopping, amazing restaurants, bars, and parks. Secure building with deeded parking & peaceful courtyard setting paired with community room & gym makes for fun & easy living. Parking and large storage unit!